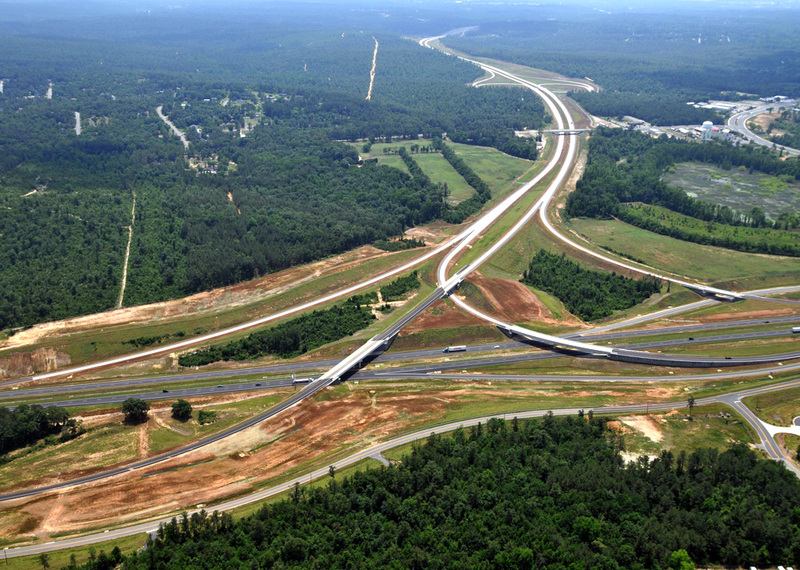 This project consisted of the completion of I-520 from US Route 1 to I-20 along new location for approximately 6.5 miles. The project was a controlled access, four-lane divided interstate facility including three interchanges and the incorporation of 12 bridges. This project also included roadway improvements to US Route 25, SC 126 (Clearwater Road) road S-33 (Ascauga Lake Road) and various secondary and local roads. ICE was responsible for all utility coordination and relocations and provided utility companies with design plans and determined the company’s requirements for the relocation of their facilities. ICE researched prior rights for each utility company’s facilities and reviewed all relocation sketches and utility agreements to ensure that relocations complied with the SCDOT’s policies. ICE surveyed the final location of all utilities on the as-built drawings. ICE was also responsible for developing the mainline pavement marking plans per SCDOT standards and requirements and provided value engineering for utility impact avoidance. This project was awarded an ACEC 2010 Engineering Excellence Award. ICE provided engineering services for this project that consisted of the completion of a controlled access, four-lane divided interstate facility, from US Route 1 to I-20 along new location of I-520 for approximately 6.5 miles.